Security is a concern that must be taken into consideration starting from the early stages of system development. Over the last two decades, researchers and engineers have developed a considerable number of methods for security requirements engineering. Some of them rely on the (re)use of security knowledge. 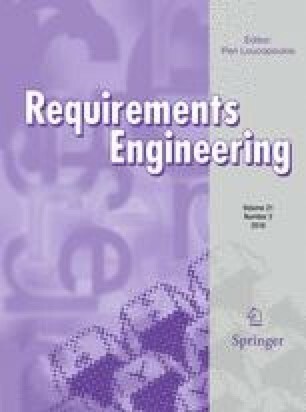 Despite some existing surveys about security requirements engineering, there is not yet any reference for researchers and practitioners that presents in a systematic way the existing proposals, techniques, and tools related to security knowledge reuse in security requirements engineering. The aim of this paper is to fill this gap by looking into drawing a picture of the literature on knowledge and reuse in security requirements engineering. The questions we address are related to methods, techniques, modeling frameworks, and tools for and by reuse in security requirements engineering. We address these questions through a systematic mapping study. The mapping study was a literature review conducted with the goal of identifying, analyzing, and categorizing state-of-the-art research on our topic. This mapping study analyzes more than thirty approaches, covering 20 years of research in security requirements engineering. The contributions can be summarized as follows: (1) A framework was defined for analyzing and comparing the different proposals as well as categorizing future contributions related to knowledge reuse and security requirements engineering; (2) the different forms of knowledge representation and reuse were identified; and (3) previous surveys were updated. We conclude that most methods should introduce more reusable knowledge to manage security requirements. Table 4 (in the following) presents the searches conducted and the list of all publications retrieved in our systematic mapping study. For each retrieved paper, the following information is provided: name of the first author, title of the paper, year of publication, and digital library/resource. For each category, and for each conference/workshop, the table gives the number of papers found followed by the number of selected papers (using our selection criteria). Finally, the bold emphasis refers to papers selected; the italic emphasis refers to papers not selected in the SMAP. Handbook of Ontologies for Business Interaction. Service security requirement profiles for telecom: How software engineers may tackle security? A graphical approach to risk identification, motivated by empirical investigations. Capturing security requirements through misuse cases. Security and privacy requirements analysis within a social setting. Security in a wireless mobile health care system. A framework for security requirements engineering.